What goes in which bin? 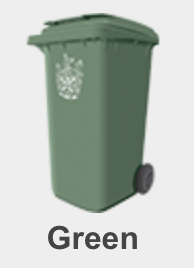 Click here: What goes in the bin? Note that black plastic cannot be sorted and should not go in the blue bin. For individual items click here. South Cambs will collect one transparent sack with recycling (glass in the bin please) and one bundle of cardboard broken down to a size which would fit in the bin if there was space (please tape or tie together). For a YouTube video of how to do this, click here. Place other recycling in one transparent sack. Black sacks and more than one sack will not be collected. Transparent sacks are available online and in supermarkets. 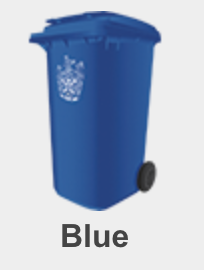 Put any glass inside your blue bin, not the sack, for safety reasons. Leave cardboard out in the rain. Soggy cardboard gets stuck to other materials making it hard to recycle.